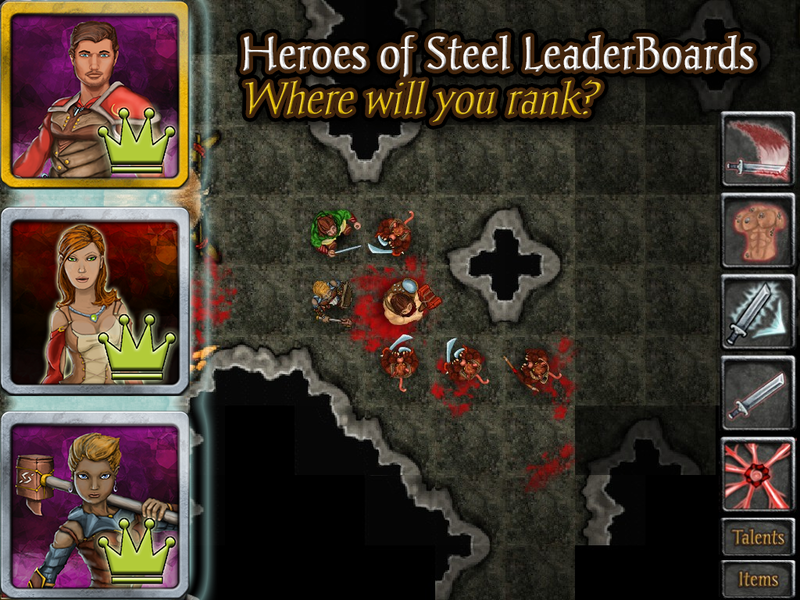 In Heroes of Steel tactics RPG, your team of four unlikely heroes are catapulted into a story of friendship, betrayal, crazed Gods, all on the edge of the darkest times in human history. Your four heroes battle the challenges before them, explore the sprawling Underdeep, fight and overcome the forces menacing the human survivors, and save who they can. These trials force you to battle your way through hordes of enemies, across dangerous territory, with limited resources and gold. As you play, your score is posted to the competitive community leaderboards. Each marketplace has its own leaderboards – Apple Game Center, Amazon Game Circle, Google Play Games, and SteamPlay Ladders. Leaderboards are split out by difficulty, so there is a ladder for Easy players, Normal players and on up to the top. There are also ironman “No Death” leaderboards for those groups that are playing at the Hard and above difficulty and who have never died. Throughout your time in the world of Steel, your Leaderboard score will be submitted many times. The leaderboards will keep and display only your top score for each difficulty and ladder type. Therefore, if you are running multiple Brutal difficulty groups, expect only to see the best group. Whenever you visit an inn or a Way Station, your score is submitted to the appropriate leaderboard. Whenever you die in combat, your score is submitted before you are docked the points for the death, allowing you to possibly post up your “best” score before getting whacked. 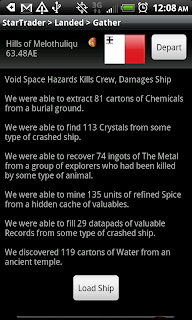 Your score is only posted to the No Death Leaderboards if you have never died. If you do die for the first time, your score is posted directly before your death, so that you can leave your high watermark score on the ladder. Experience gained by your entire team is the most important determining factor in your score. Gain more experience by defeating bosses, completing subquests, and killing monsters. Your gold stockpile influences your score. Dying reduces your score significantly. Every time a character dies, you score is reduced by a death count. Choosing to Retry Turn reduces your score by a single death, where choosing to Restore Point reduces your score by two deaths. Your score is reduced by the turn count during play – including turns used during combat, turns spent walking around the world, turns spent resting, turns spent during inter-region travel, turns spent in fast-travel and turns consumed by story events. Your turn count is the smallest modifier on the leaderboard score, but will have an important impact when differentiating closely contested scores and true pros. To achieve the highest possible score, play with a good efficiency of motion. Achieve a healthy rhythm of returning to town or camp – not too often, but not too little. Do not stay at hotels or Way Stations repetitively unless necessary. If you have any questions, email atrese@gmail.com and we will add the answers to this document and email you back!